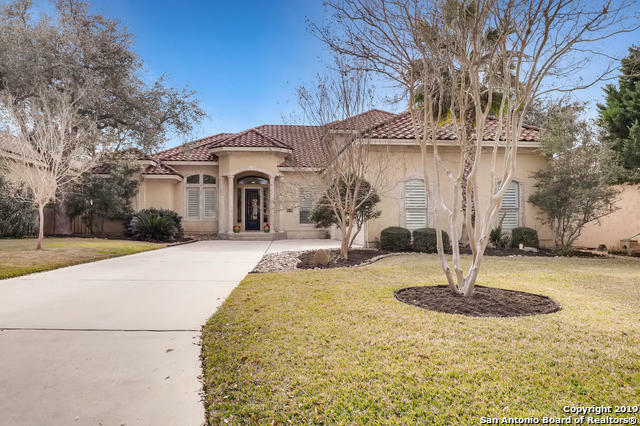 All CHAMPIONS RIDGE homes currently listed for sale in San Antonio as of 04/22/2019 are shown below. You can change the search criteria at any time by pressing the 'Change Search' button below. 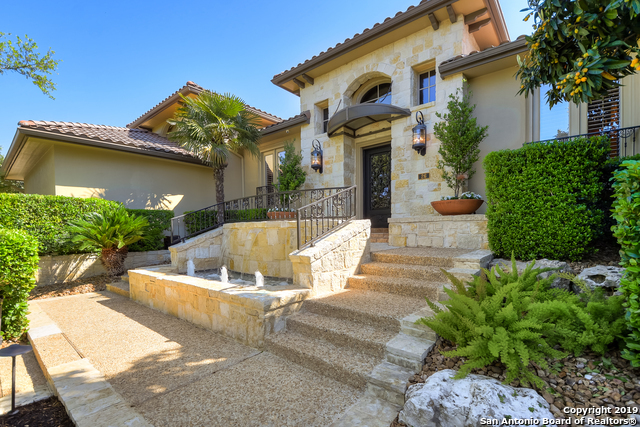 "This striking Mediterranean home has incredible outdoor living and is designed for entertaining! The resort-like back has a relaxing pool/spa, $35K putting green, multiple seating areas, covered patio & breathtaking sunset views. 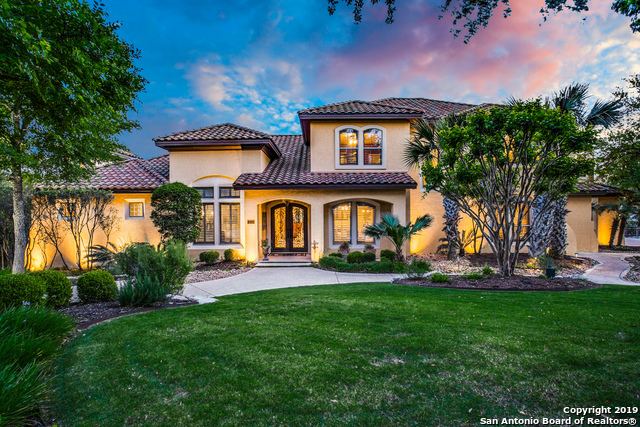 Entry w/ domed ceiling leads to the elegant DR with wood flooring, butler's pantry & study with built-ins. Wet bar w/ wine rack. Stunning, open kitchen. Owner's retreat w/ pool access, his & hers closets. Full pool bath down. Three secondary BR's, gameroom, loft area w/"
"STUNNING and sprawling one story in the exclusive Champions Ridge subdivision. No expense spared & every detail cared for. Gourmet cooks kitchen overlooks open family room room w/ fireplace. Multiple living areas. His & her office space. Two laundry rooms. Master suite with gas fireplace and sitting area. Generous sized walk in closets. Large windows overlook beautiful backyard w/ top of the line pool & outdoor living area w/ fireplace. 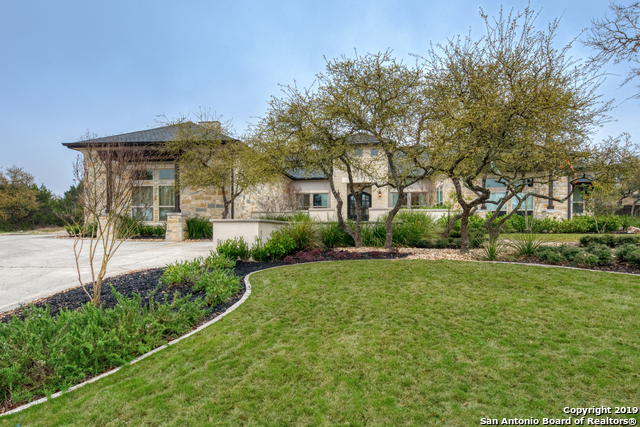 Drip irrigation; spray foam insulation; tankless wa"
"Spectacular estate on private .78-acre lot. Avery Johnson's former home. 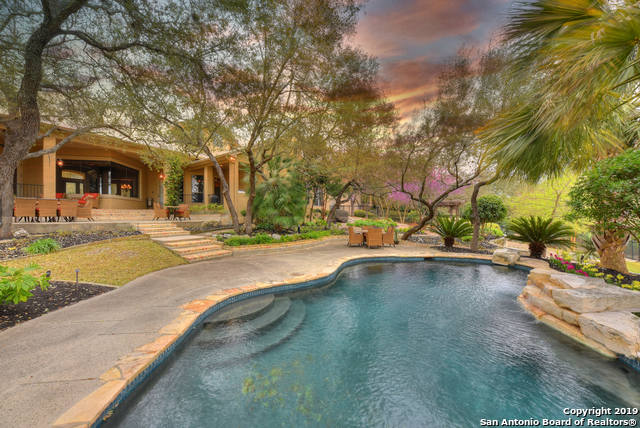 You will be impressed upon entering w/2 waterfalls, soaring ceilings & an abundance of light. The gourmet kitchen is a chef's delight w/6-burner Viking gas range, granite island, breakfast bar, butler's pantry, wine room & bar. The mstr suite recently renovated to include a copper tub, W/I closet w/dressing area, attached exercise rm offering access to 1500 sq ft covered patio. 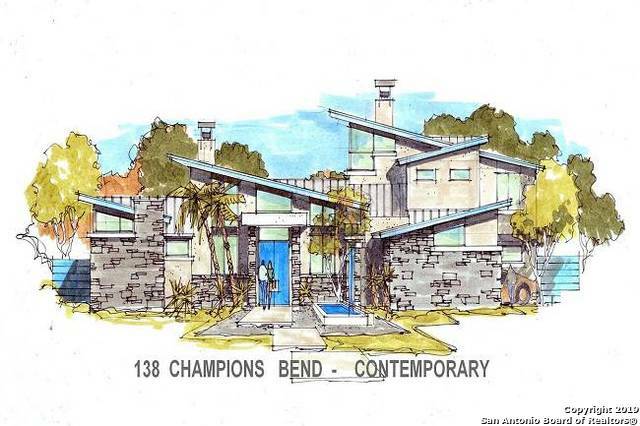 Entertain by the sparkling pool/spa & 5 fire f"
"In a prime gated community, this to - be- built custom home will be one of timeless design and enduring quality. Wonderful open floor plan with separate dining and living, gourmet kitchen open to breakfast and family, master and study down. Wood floors, 10' ceilings, dramatic beamed ceilings in family. Can be tailored to your specifications." "Here's an opportunity to call HOME a gorgeous,5700+ sqft Itallian Villa-like property tucked into exclusive gated/guarded subd nestled in middle of landscaped culdesac*Refinement & attention to detail defines the level of design*Breathtaking views from private patios*Spa-inspired pool for yr round pleasure*See Assoc Docs for long list of impeccable interior amenities too-like fresh paint(8/'18)*temp controlled wine room*all bedrms w/own bathrm*updated gormet kitchen*surround sound in media rm*& "
"This estate was designed for comfortable living & elegant entertaining. 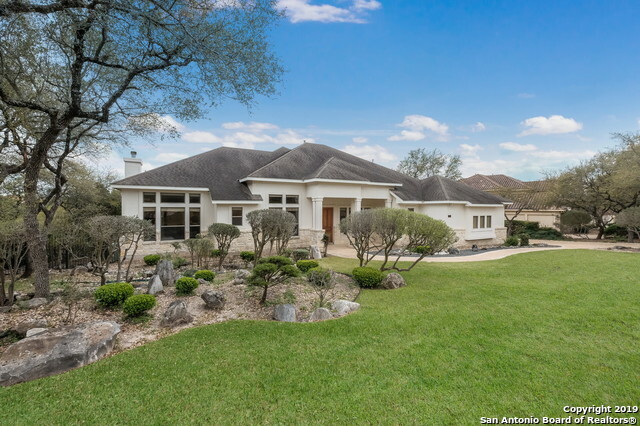 Enjoy the stunning views of the lushly landscaped backyard from the formal living room. Gourmet island kitchen w/quality appliances. Family rm affords ample gathering space w/wood builtins and an inviting stone fireplace. Private mstr boasts wood flrs, outdoor access & a spa-like bath. Guest rm w/ full bath and study down. Second floor game room with 2 bedrooms/2 full baths. Covered Patio w/outdoor cooking overlooks Pool w/v"
"FANTASTIC CITY VIEW- Japanese garden can be seen from Liv Rm, Dining, Breakfast, Den, Master Bedroom and second floor game room. Overlooks greenbelt. Hardwood floors in living, dining, study, game room & stairs. Tile in kitchen, breakfast, den, parlor, laundry, entry & halls. Reverse Osmosis Water. Freshly painted & immaculately maintained. Floor to Ceiling Rock Fireplace in Living. ONE STORY with Gameroom upstairs with Wet bar and large walk-in storage (not in sf) . Nature trail, playground/"
"Meticulously Maintained 4 BDRM, 3 BTH Spanish-style 2 Story w study & 3 Car Garage. The grand entry greets you with soaring ceilings, ornate light fixtures, & hand-scraped wood floors. The chef's kitchen features granite counters, center island, ss appliances to include gas cooktop, & custom cabinetry. Large downstairs master w/ spa-like en-suite & 2 WICs. Add'l bdrm down great for guests. Upstairs game rm & split bedrms. Enjoy entertaining on the extended patio w outdoor living space & grill. M"